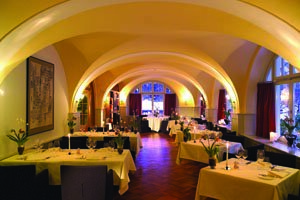 The Grand Hotel Bellevue is a jewel of opulence, style and comfort in the millionaire’s playground of Gstaad. All around are the valleys and wooded slopes of a paradisiacal Swiss landscape, green in summer and white winter wonderland at this time of the year. Each year, over two million people buy an item of clothing or an accessory in one of the more than 2,000 Armani outlets in countries all over the world, generating revenues in excess of $700 million. This is the profile of a company that has enjoyed continued growth since it was established in 1975 and still shows no signs of slowing down. 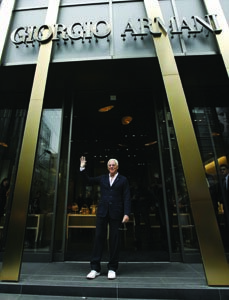 Loyal to a philosophy of design that has produced his trademark style of simple yet refined elegance, Giorgio Armani has not only weathered the vicissitudes of time, he has thrived on them. The secret of this remarkable success is the clean design that gives his creations a timeless quality, which transcends fashions and fads—the surest mark of a master. With an ultramodern project designed by American architect Daniel Libeskind, the man charged with designing the new World Trade Centre site in New York, Marbella has attracted a project of true architectural significance. 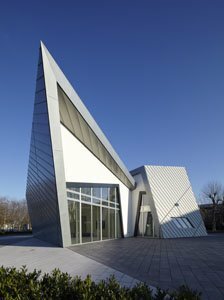 One of the leading architects of our time, Daniel Libeskind has also added to an already impressive list of great American designers. A sought-after guest lecturer at universities around the world, his work is inspired by the possibilities of a new era in which technology, media and novel materials are pushing the definitions of conventional living spaces towards new boundaries. You are currently browsing the Michel Cruz weblog archives for May, 2011.